Ait. Hort. Kew. ed. 1, 2 (1789) 129.
perrenial and prostrate shrublet with a short, thick main stem, rarely higher than 30 cm, and sprawling, herbaceous flowering branches up to 60 cm high. The stipules are persistent and the roots are somewhat tuberous. Lamina round to ovate-cordate with obtusely crenulate margins, 3-4 cm in diameter, larger if on the main stem, up to 12 cm in diameter. Pubescent, with a strong apple-mint scent. 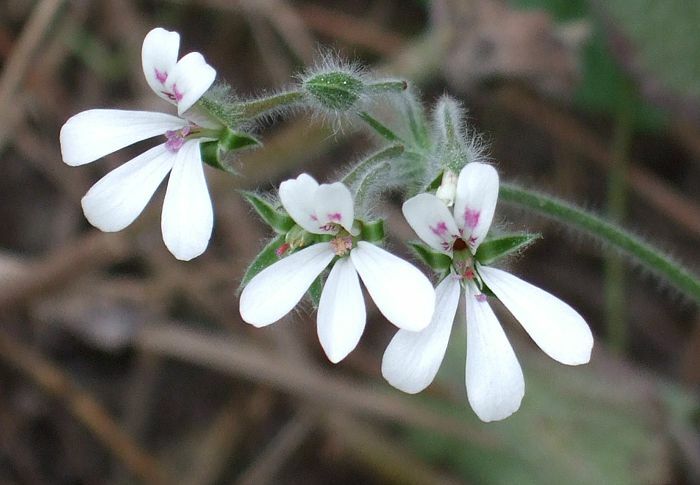 Slightly longer than sepals, white, occasionally pink, with crimson markings on the posterior petals. 7 fertile, four longer, one intermediate, two short. 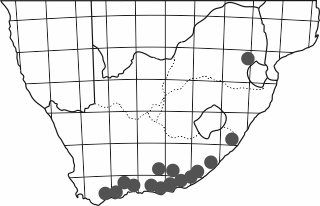 P. odoratissimum is relatively common in Baviaanskloof, particularly in the shade of the thicket at the bottom of the kloof. 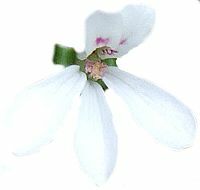 This is a pelargonium-rich area, and P. zonale and P. sidoides are particularly abundant. 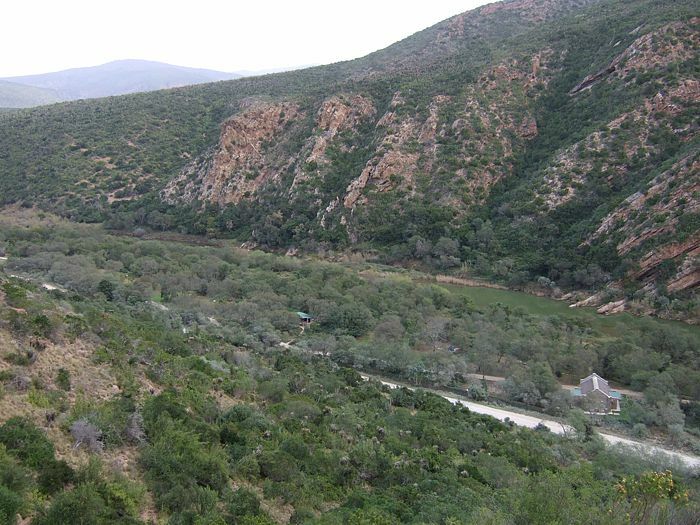 The east of the kloof has typical summer-rainfall vegetation, while the western part is at the easternmost border of distribution of some typically winter-rainfall succulent genera such as Conophytum. This is an interesting area to explore. 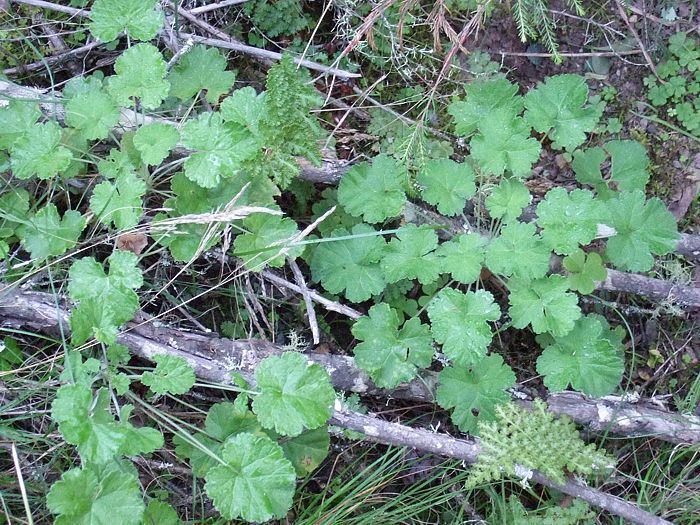 In less exposed areas, the leaves tend to be greener. 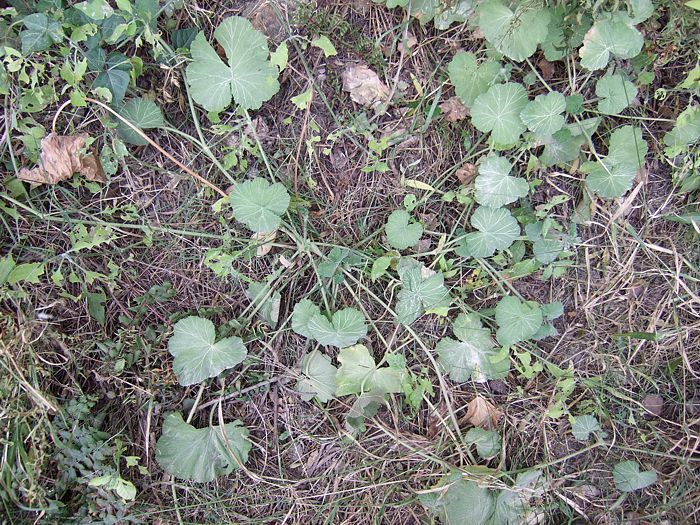 At first sight, the plants look very much like P. sidoides or P. reniforme, though the leaves tend to be bigger and less hairy.